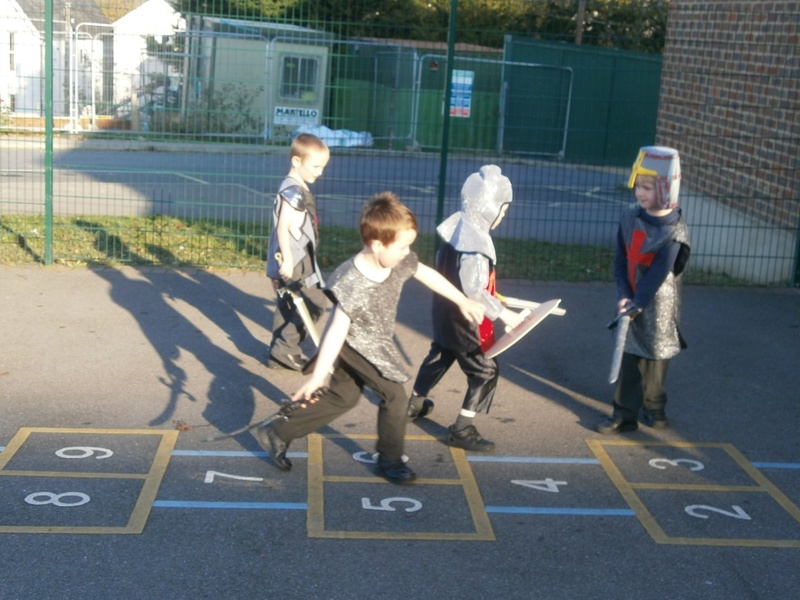 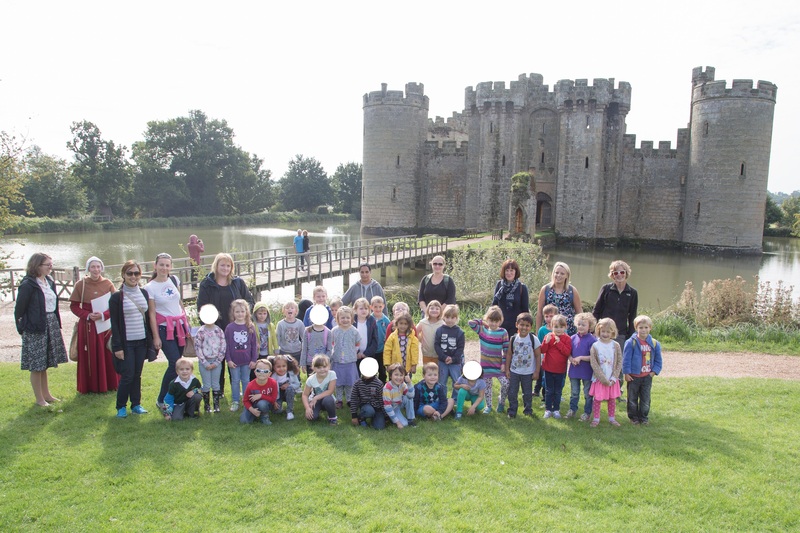 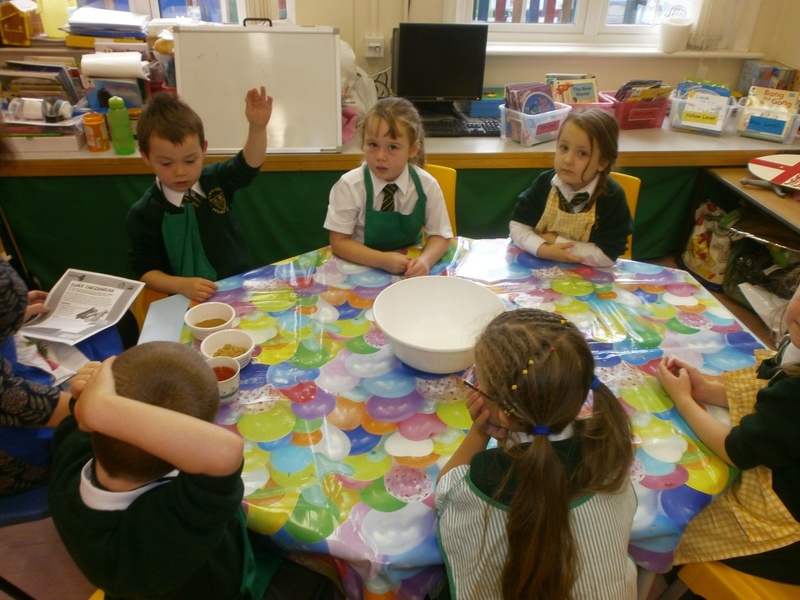 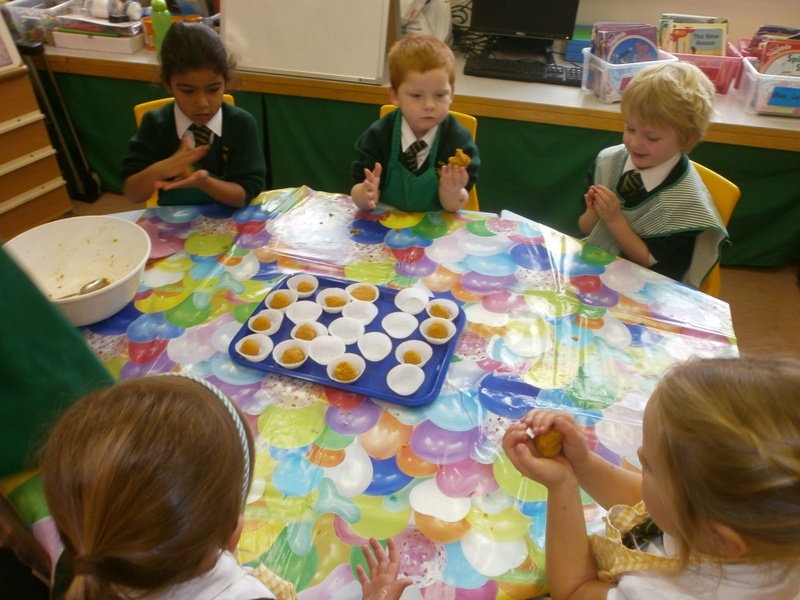 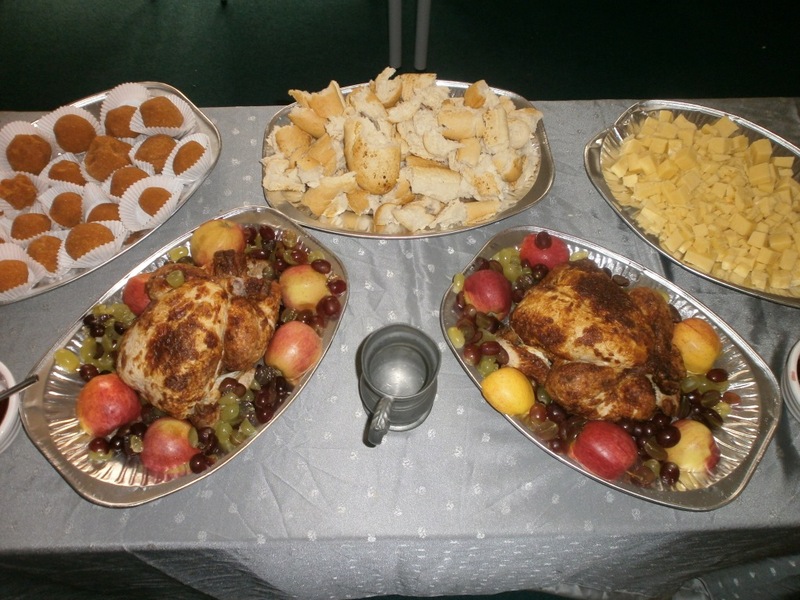 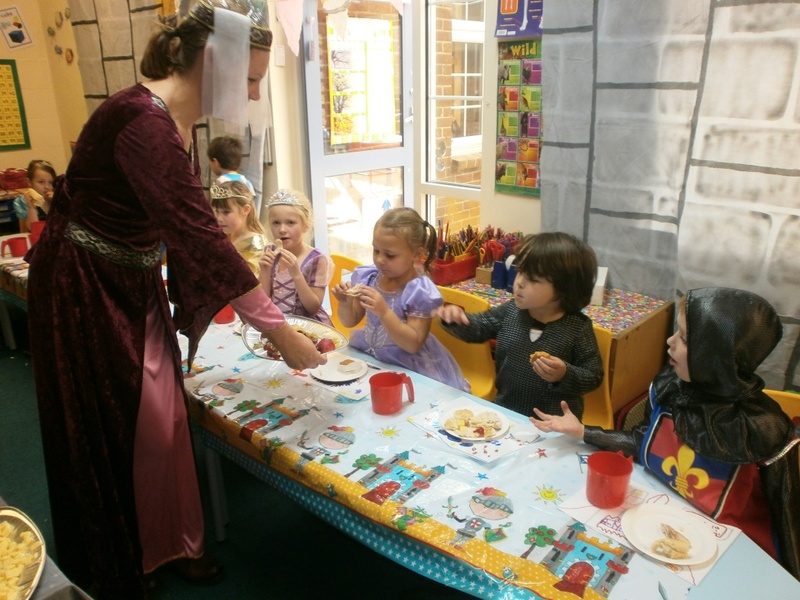 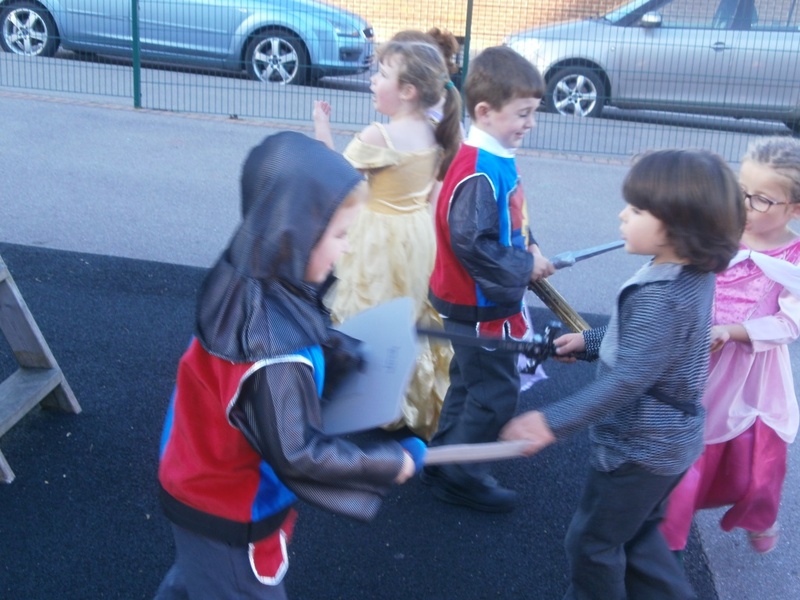 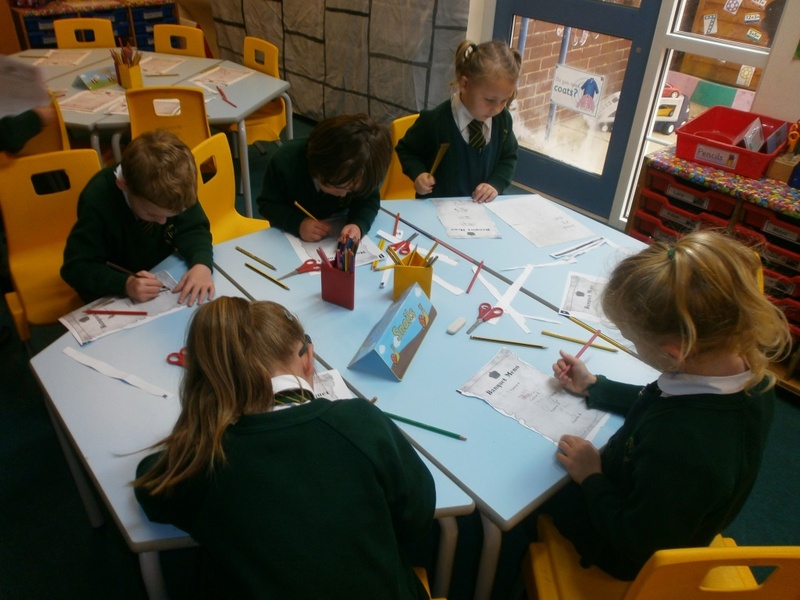 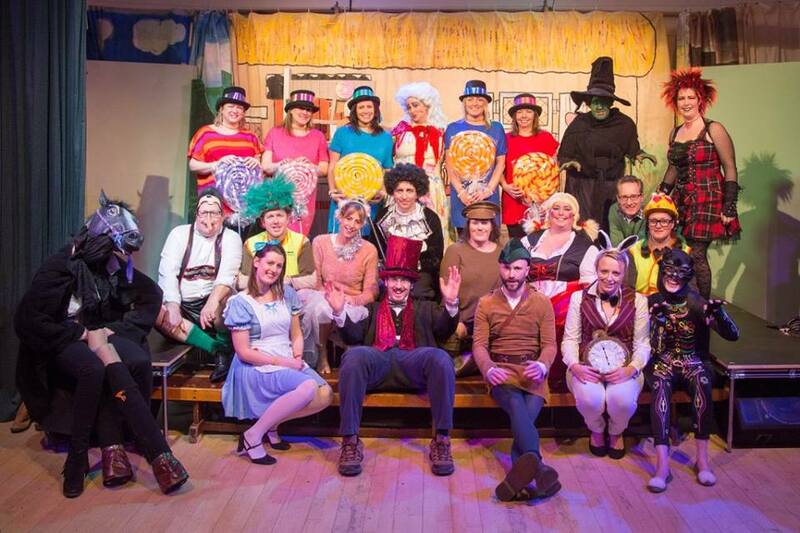 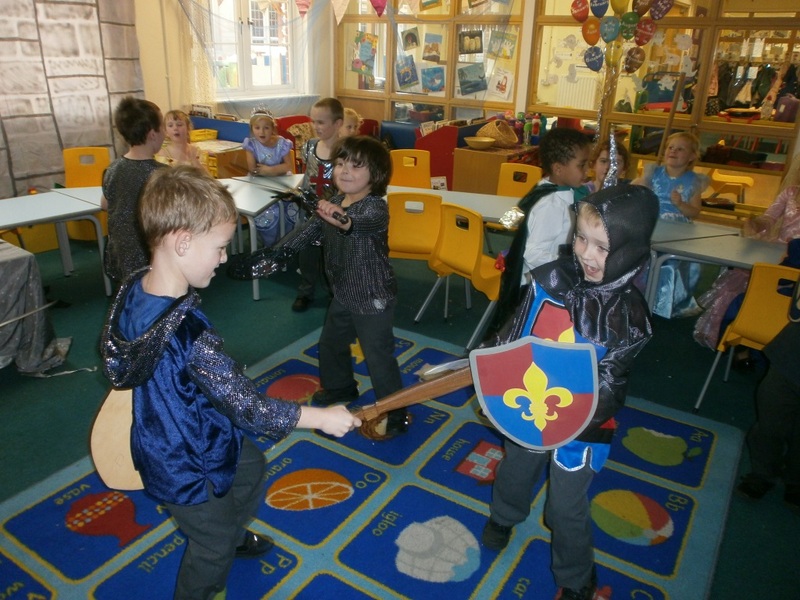 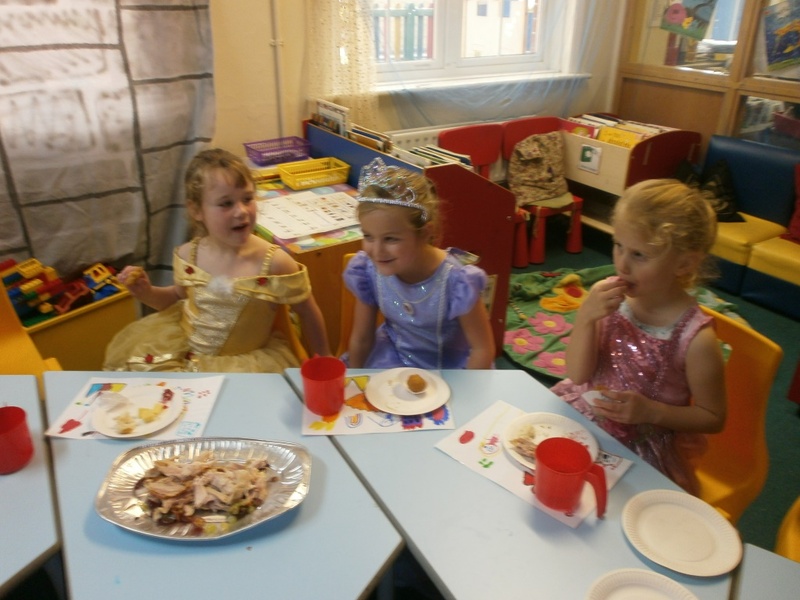 On Thursday 2nd November, Year 1 took part in a Medieval Feast! 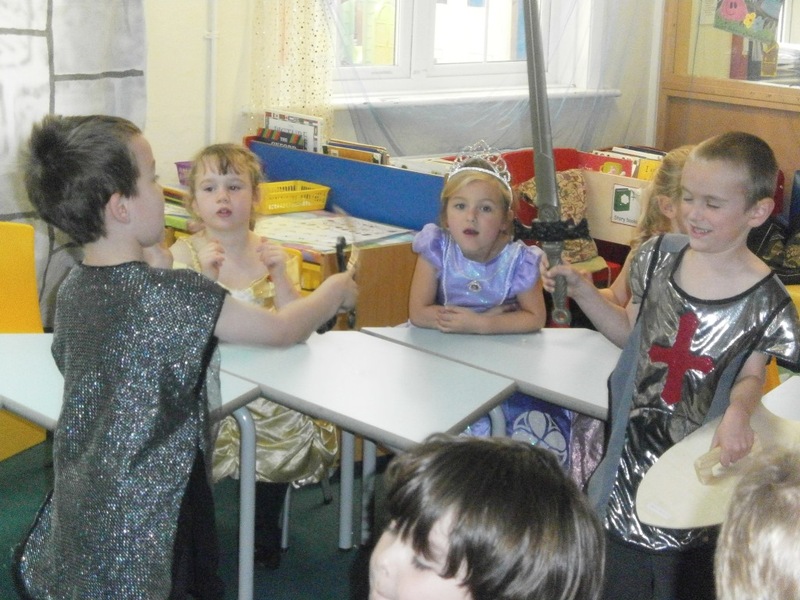 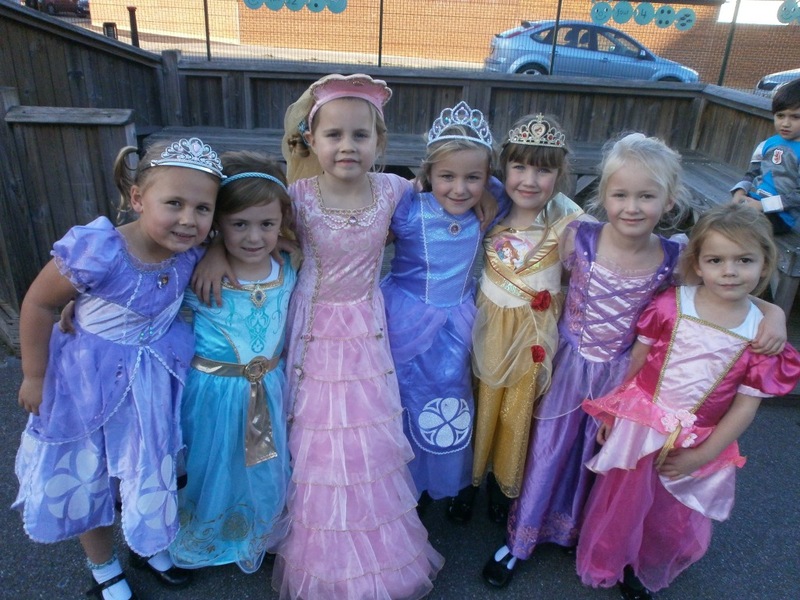 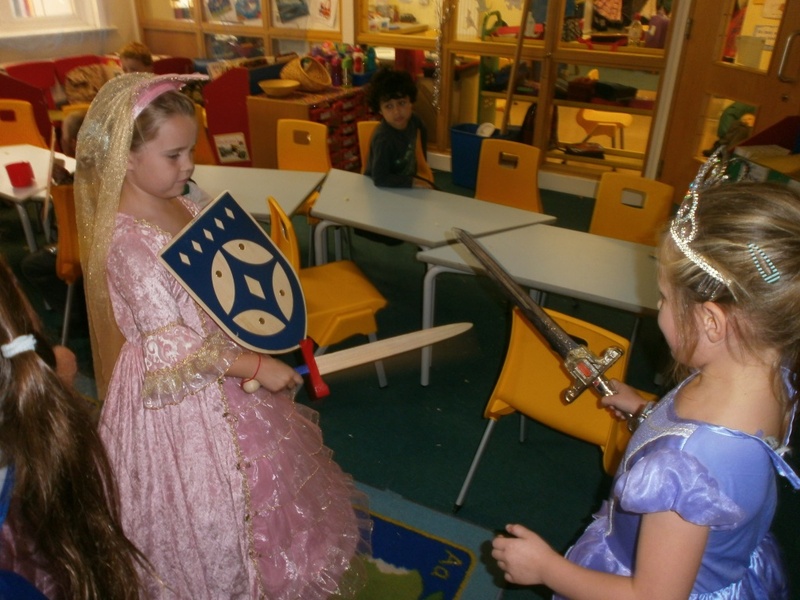 A 'Fab Finish' to their 'Princesses and Knights' topic. 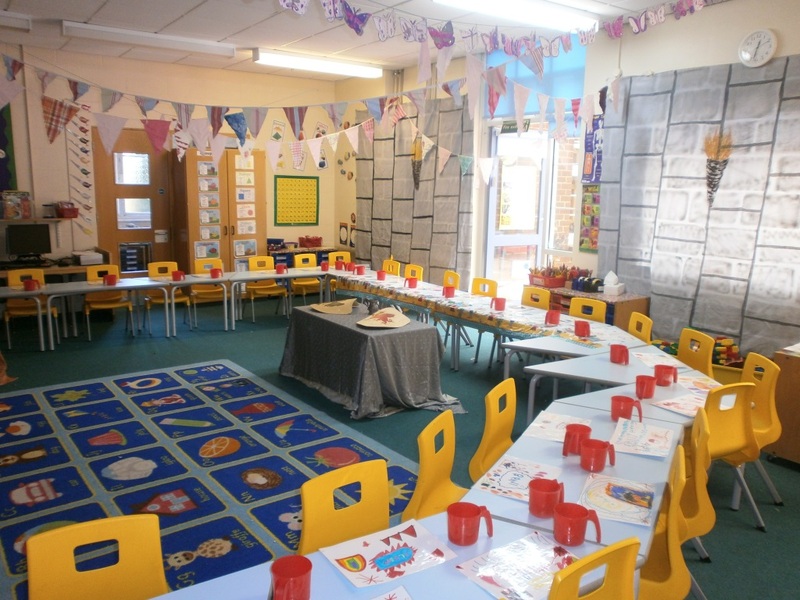 The children spent the morning decorating the classroom, creating menus and preparing food for the banquet! 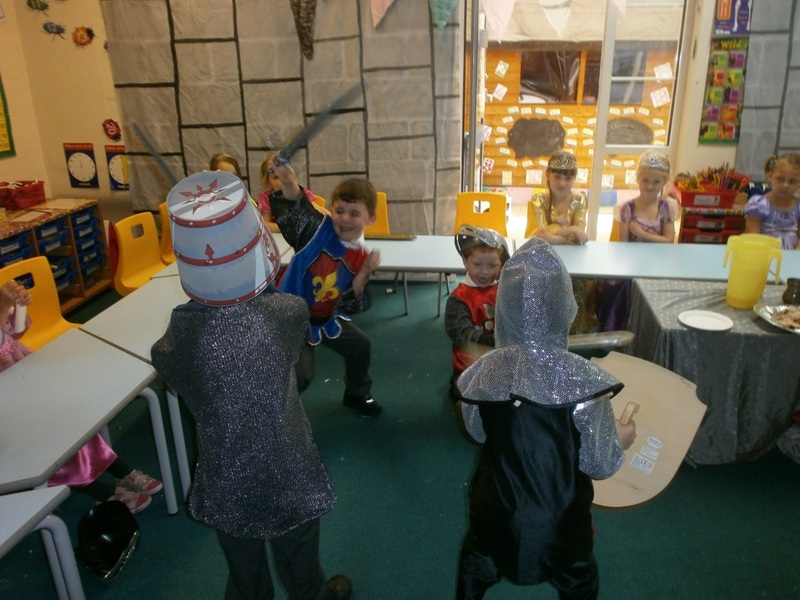 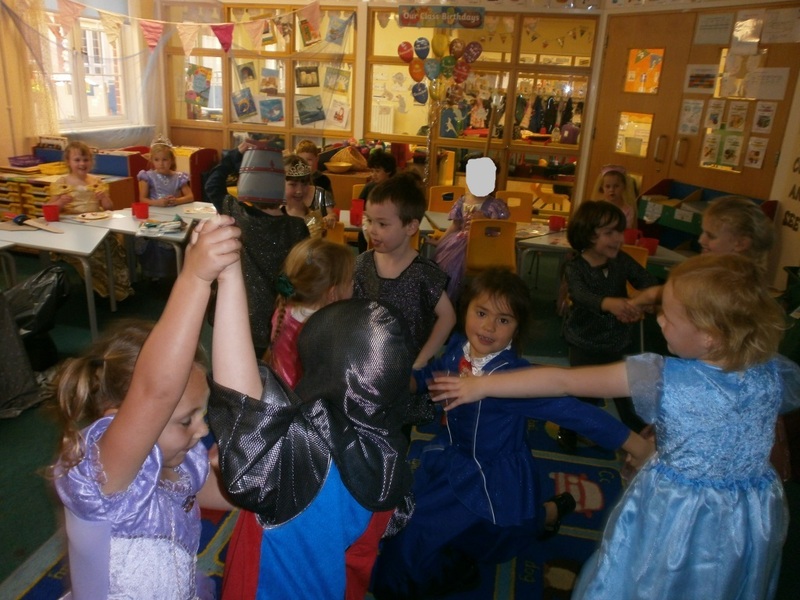 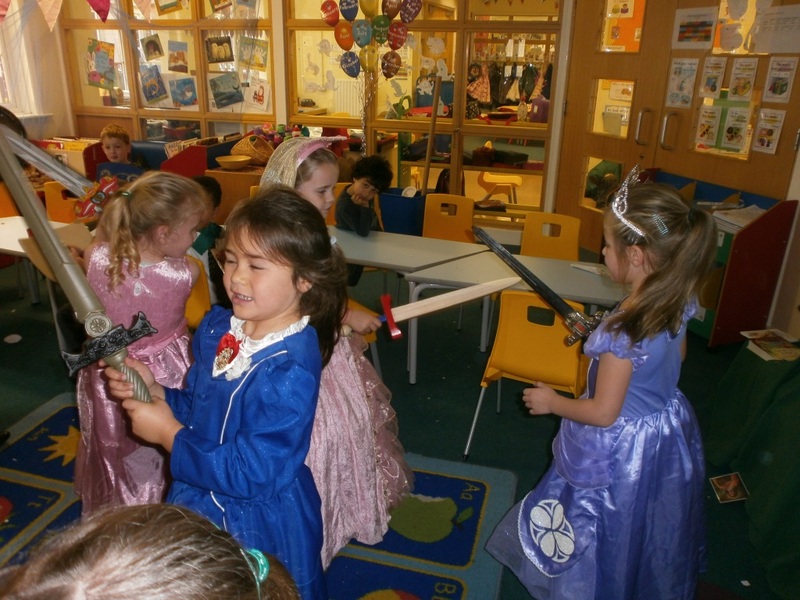 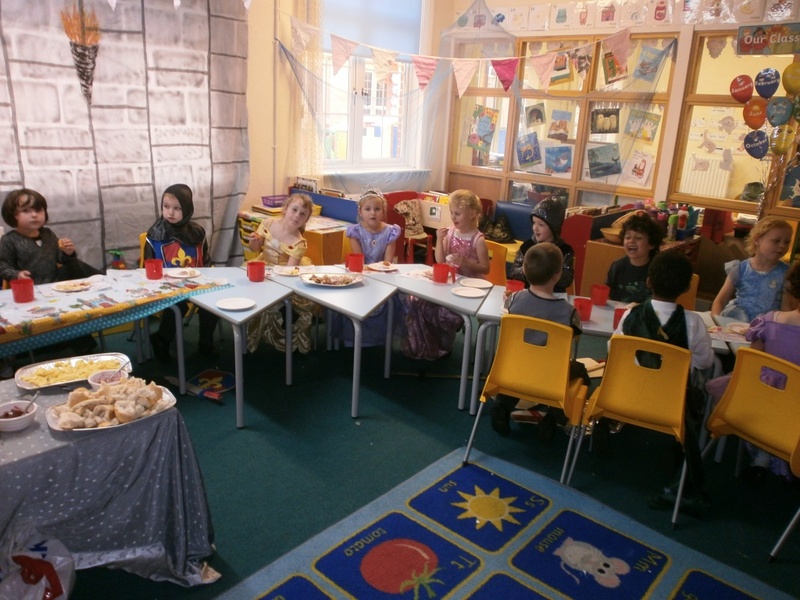 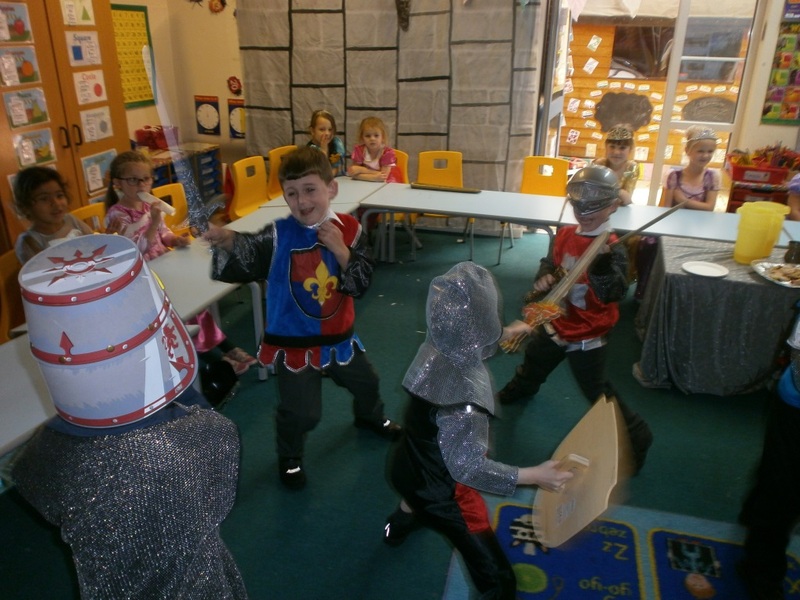 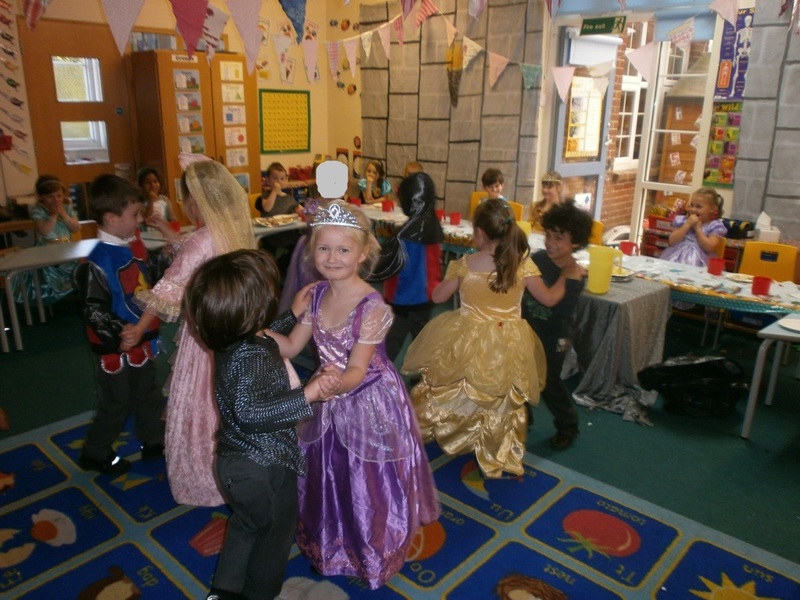 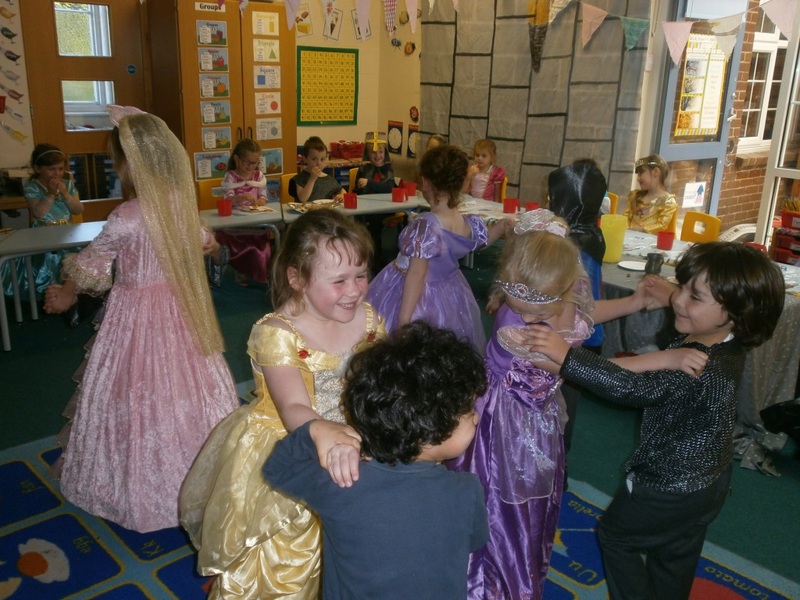 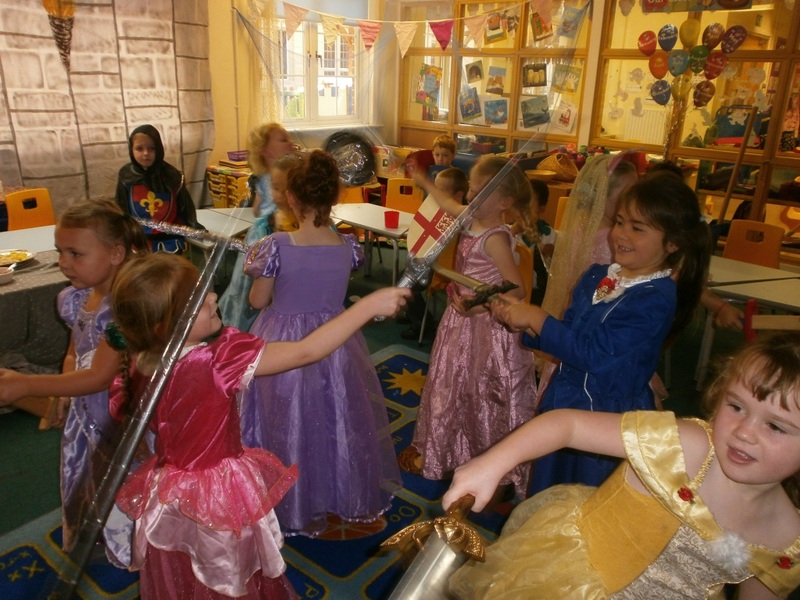 In the afternoon all the children dressed up as knights and princesses ready for their feast, which they had in the Year 1 classroom. 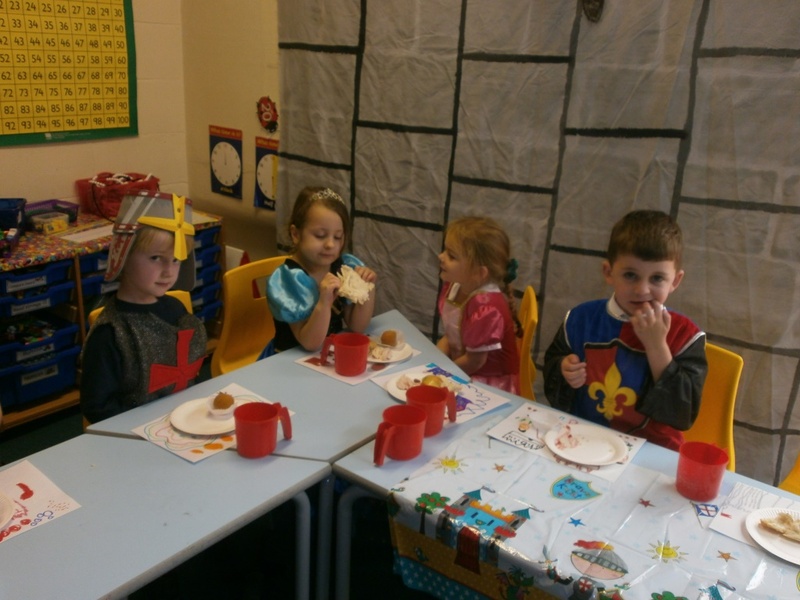 Mrs McCurdy and Mrs Neill served the 'knights and princesses' their food which included chicken, fruit, bread, jam, gingerbread balls and 'beer'!